To square a number you multiply it by itself. 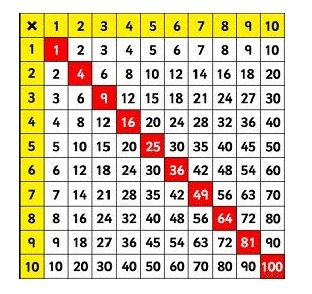 Children will learn the square numbers as they learn their times tables (they are highlighted in red in the table below), however it is important to focus a little on these special numbers and for children to recognise if a number e.g. 16 or 81 is a square number.